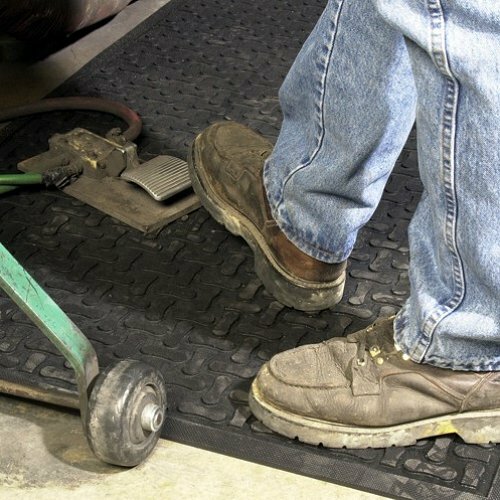 Comfort Scrape is a lightweight grease proof mat that is great for any industrial kitchen. This mat has a solid surface that does not allow liquid to touch the floor. If that is not what you are looking for try Comfort Flow #420. Exactly the same mat but with holes. 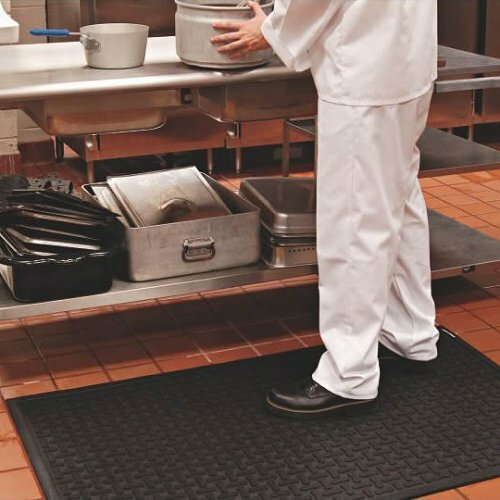 The mats non slip backing keeps it in place to minimise any slips and fall accidents and is a perfect mat for food processing areas. It is constructed from 100% high density closed cell nitrile rubber cushion and is also anti-microbial treated to prevent odours and break down. 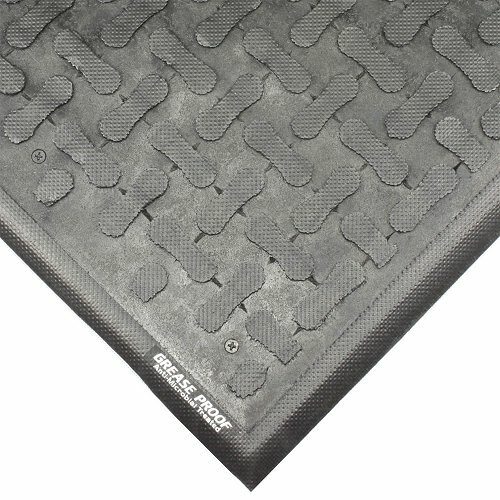 This mat is also light for easy handling and is fully industrial machine washable.